In My Mailbox is a weekly meme hosted byThe Story Siren. Check out the new design for my blog. I love it! All thanks to the wonderful Blog Designs by Sheila! I was on vacation this week, so I went hog wild at the libary. I checked out all these books, and I've finished all of them! I love the new blog design! It's kawaii! (Did I even spell that right? What I meant was to be spelling "cute" in Japanese) lol. I really like the new blog design! It's really fresh and clean to look at and the cherry blossoms are beautiful! I can't believe you read all of them already. I loved Once A Witch and I hope you did too. Yay Ethan and Merit! So glad you gave Some Girls Bite a try, I'm looking forward to reading all your thoughts on it. And Once a Witch too, I really enjoyed that one:) You did have a great week at the library didn't you? p.s. I'm a new follower. Love your blog! Dengeki Daisy! <3 I've always wanted to read that and Once A Witch. Once A Witch looks awesome! I've seen it on a few blogs and I am definitely adding it to my to be read list! Like everyone said above, the new design is super cute! Here's what's in my mailbox! Hi - I'm a new follower. I totally love the blog design - it's very uplifting and fun :). I thought Once A Witch was pretty good. 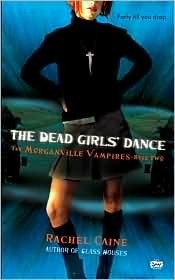 Morganville Vampires! I really enjoy that series! How are you finding it so far? 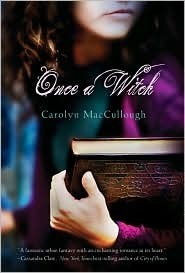 I was going to read 'Once a Witch' before l read the new one but don't think l will have time sadly. Some amazing books you have!!! I love historical fiction so I really want to read "The Education fo Bet"! I love the new design! Now that is a freaking awesome vacation. I take vaca later this month and I hope to get to read a lot of great books too! Fun library finds. I've always been curious about William and Harry. Hope you enjoy all your books. Congrats in the new gorgeous blog design. I absolutely adore it! Check out my very exciting IMM post!! Ohhh let me know how the book on the Princes go. 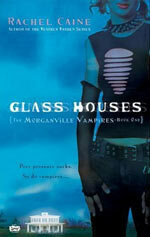 Like the cover for Glass Houses. Great mailbox and your pink cherry blossoms are very pretty. So many awesome books! I've been meaning to try Some Girls Bite. I can't wait to hear what you think! 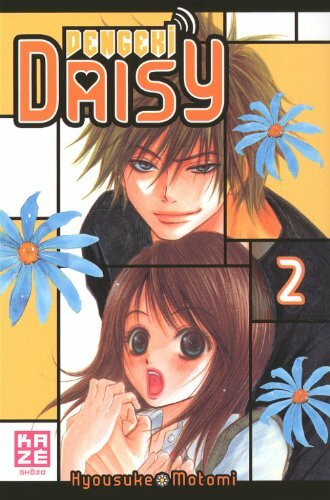 I like the manga series Dengeki Daisy too. It's a sweet story. Come check out what's IMM! I think I already mentioned it, but I love your new blog design. Such pretty colors! You read all those books? Good for you! I can't wait to read all your reviews for them. I just posted up my review for The Education of Bet. I'm curious to see how your thoughts compare. Great Library Stash! 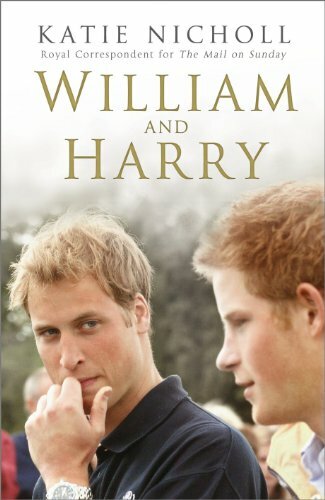 Would love to read the William and Harry book. Happy reading :) Here's my IMM. YEAH! go Dengeki Daisy :) And I love the new look for your blog! Your blog is absolutely gorgeous. I'll definitely be stopping by more often. I can't wait to ready your reviews on Once a Witch. That's looks like a great book. I'm having a really big giveaway on my blog. If you have some time, please stop by and check it out.